Self-promotion gift limited to 300 numbered copies. The concept is based on popular beliefs of the Brazilian culture for New Year’s Eve to bring luck and fortune – eating lentils and pork, wearing a specific underwear color, making an offer to the Sea Goddess Iemanjá etc. 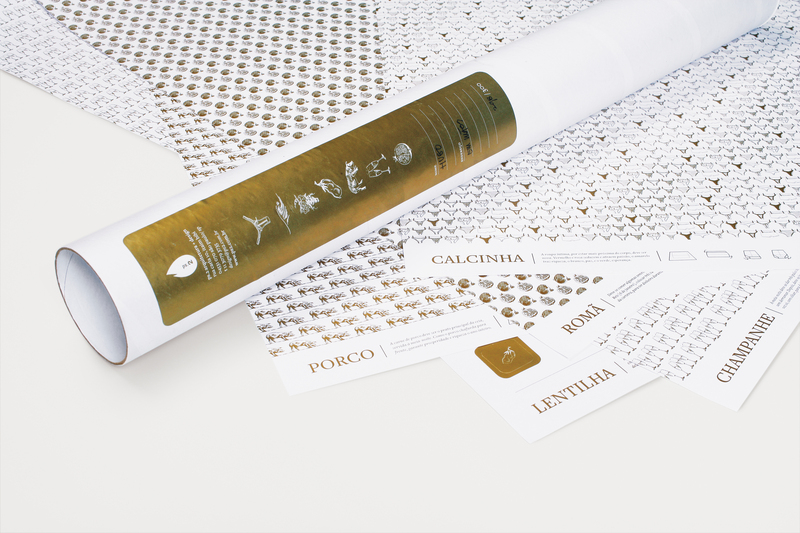 The superstitions are the inspiration for a Holliday gift: a round cardboard tube containing posters for diverse uses – wrapping paper, to/from stickers, message card, envelope and origami boat – all printed in gold on white.